P.S. Read my blog on the newest boutiques to prepare for an exciting island shopping spree! We are pleased to welcome Villas Corossol and Capella to our portfolio. 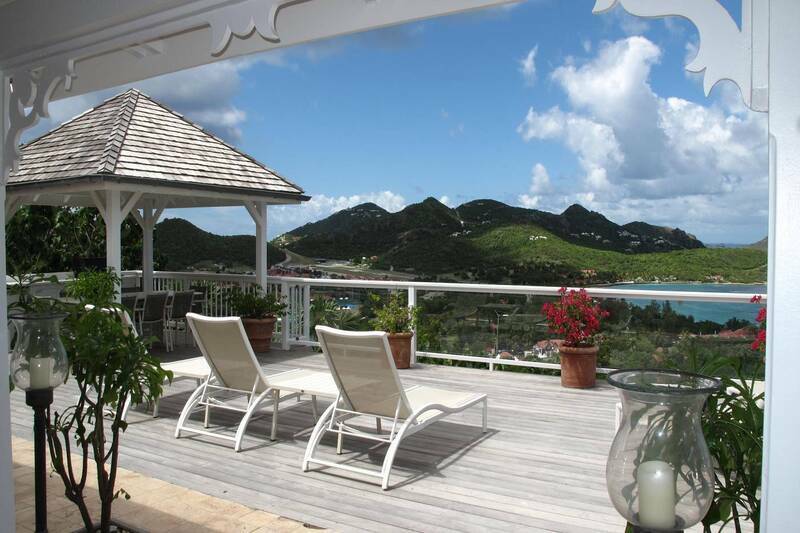 Located just above the quaint fishing village of Corossol, this romantic 1 bedroom villa treats its guests to a view of Gustavia and brilliant sunsets. Air-conditioned throughout, it offers a comfy living room for TV viewing. The open floor plan includes a dining area, a well-equipped kitchen (its wine cooler is waiting to be stocked with some delicious French wines) and a convenient breakfast bar. The bedroom has a king bed and looks out to the pool and beyond to the sea. Its en suite bath has a double vanity and a rain shower for two. Guests can jump right into the pool directly from the shower. The heated pool is the focal point of a lovely terrace furnished for outdoor dining and relaxing. All that St. Barth offers is nearby and waiting to be discovered. Villa Capella –Classic in style and pretty as a picture, Villa Capella’s architecture and décor evoke an old-time Caribbean ambience. Its St. Jean location offers proximity to the little Côte d’Azur-like village and its popular beach. The water views are gorgeous! An open floor plan encompasses an air-conditioned living room, a “formal” dining area and a well-equipped kitchen. A covered outdoor living area looks out to the view. Poolside, a portico with a wet bar and a BBQ are furnished for al fresco dining. The sunny pool deck is a delightful oasis. All four en suite bedrooms have access to the pool terrace or a private terrace with a view. The beautifully decorated master bedroom has a romantic 4-poster French king bed; its bath has indoor and outdoor showers. Two of the guest bedrooms have French king beds convertible to twins. A separate bungalow houses a studio with a French king bed, en suite bath, TV, sitting area and kitchenette. 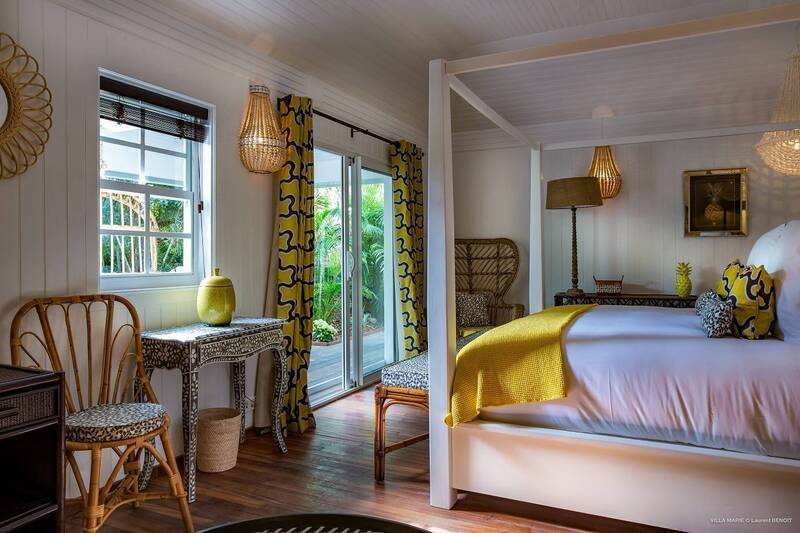 The legendary François Plantation, famed for its gorgeous gardens and gourmet restaurant, has been reincarnated as an elegant 5 star boutique hotel – the Villa Marie Saint-Barth. Tucked away in Colombier and overlooking Flamands Beach, it opened last month. Our team is wowed. 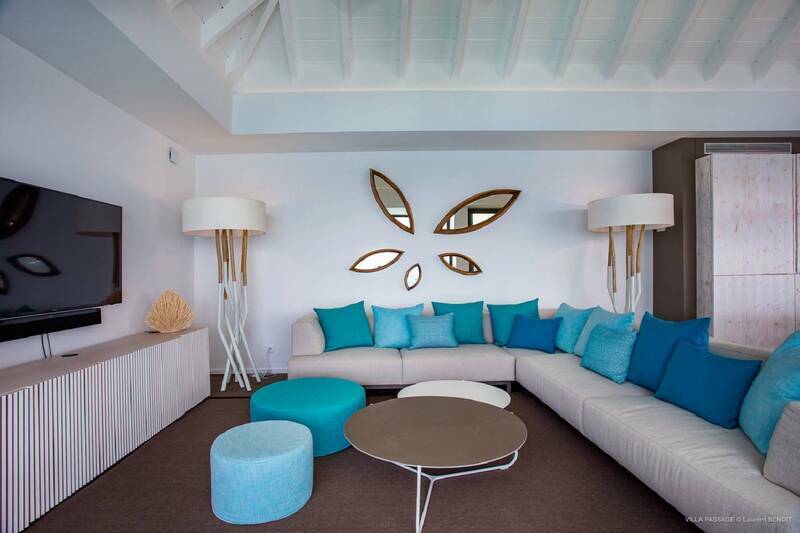 We are excited to represent the hotel and have proudly added it to our Hotels of St. Barth collection. The frosting on the gâteau is that, in homage, they have named their fine-dining restaurant François Plantation. It’s divine. See full details and pictures on our website. We are pleased to announce a new addition to our St. Barth Properties Sotheby’s International Realty team. Mélissa Appadoo will join us in the role of Real Estate Consultant. 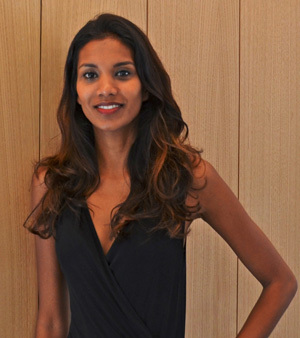 A native of Mauritius, Mélissa was raised on St. Barth, she left to pursue her education – she holds a master’s degree in finance – and later worked abroad. She is well traveled and multi-lingual – fluent in French, English and Spanish. She has come home to further her career, and we’re delighted! Please stop by our new real estate sales office to say Bonjour. Please see Peg’s Blog for more information on our new real estate office and the team. St Barth Properties’ President Peg Walsh has been again named to the prestigious Wendy’s WOW List. Consumer travel guru Wendy Perrin’s 2017 List is an impressive round-up of travel agents, tour operators and members of travel-planning firms that show specific destination expertise and a high-level of customer service. 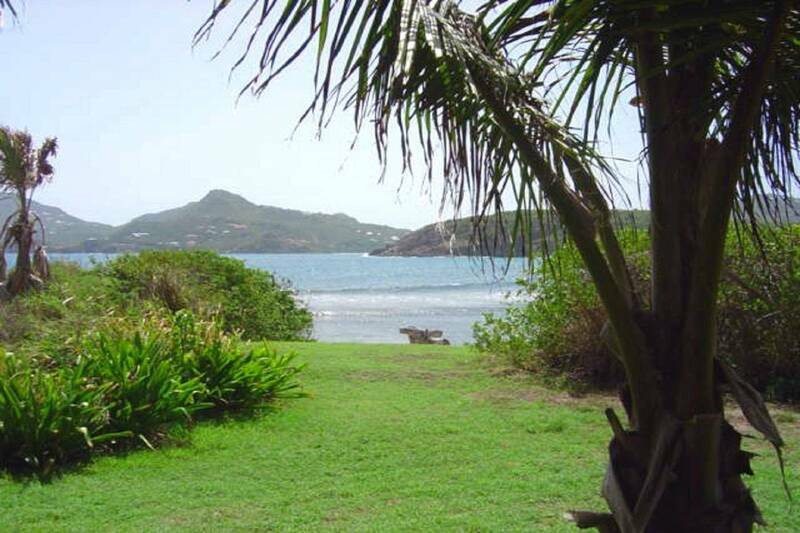 Peg has also authored a St. Barth Beach Vacation Insider’s Guide for Wendy’s companion website. Take a read. Like so many who considered Santa Fe one of their favorite St. Barth restaurants, we were sad when owner Manu announced he was moving back to France. The classical French cuisine was divine, and Manu was an integral part of those long, breezy lunches with the stunning views and dinners that could be both fun and romantic. As much as we miss our old friend, we are delighted with the reincarnation under new owner David Moulton (formerly of Dõ Brazil). The menu has some exciting changes, and a few things happily remain of “old Santa Fe.” Guests can still enjoy the Dover Sole special; the langouste still swim in the giant tank; and moules frites (mussels and fries) are still served on Thursdays. Our concierge team will be pleased to book you a table on the terrace. And by the way, if you’d like to enjoy those mussels at dinner on Thursdays, reserve them ahead with our on-island concierge Magda. See you there! This charming 2 bedroom waterfront villa, with private beach access, is a true gem and an ideal vacation home. Indoors, a full kitchen, living room and dining area open to a sunny pool terrace. A covered section is ideal for al fresco meals and makes for easy living. The view, spanning the cove, is splendid. A blue-tiled pool sparkles in the sun, and a short path leads to a lovely little coral beach. Two equally sized bedrooms are on opposite ends of the villa. Each has access to the terrace via sliders and enjoys a water view. One bedroom has an en suite bath, and the other is adjacent to the second bathroom.